Maybe Paul Ryan and Mitch McConnell aren’t so bad. In fact, their successful effort to pass the most significant tax reform in three decades show Ryan and McConnell to be, on the whole, remarkably competent, and solidly conservative. Professional right-wing malcontents and crisis-mongers, and their legions of mantra-spouting followers, should now eat humble pie and give credit where it’s due. 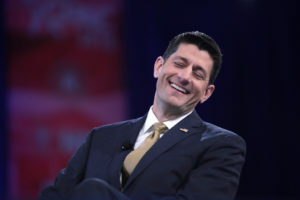 Without any significant public sales job from the White House, with only a narrow Senate majority and when Republican poll numbers are at a nadir, Ryan and McConnell got the job done. But will the same Bannonite demagogues who declared war on the Republican “establishment,” and blamed congressional leaders for the failed attempt to repeal Obamacare, now praise those same leaders? Will the fulminators whose idea of intelligent commentary starts and stops with endless repetition of jargon such as “RINO,” “swamp,” “cuck,” and “neocon” now interrupt their invective? Will the nattering nabobs stop nattering? This tax reform is good, conservative policy. The top corporate tax rate will drop by two-fifths. Pass-through corporations will now exclude 20 percent of their income from taxation. Businesses will be able to immediately “expense” capital investments. Individual rates drop for almost everybody. Lower-income workers will vastly benefit from the near doubling of the standard deduction. Tax-return filing for a majority of Americans will become far simpler. Numerous “special interests” will no longer be able to game the system. The “death tax” is greatly reduced. The awful Alternative Minimum Tax will fall on far fewer Americans. Millions of barrels of oil can now be produced from Alaskan tundra. And, lo and behold, a key linchpin of Obamacare, the philosophically odious “individual mandate” to purchase health insurance is now kaput.